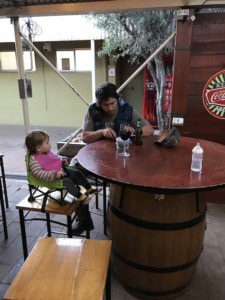 After the crushing reality of the broken axle set in and the burst of adrenalin from the successful hitchhiking rescue faded, Justin, Morgan and I were in Yulara needing to figure out a plan of what to do next. First stop was to get a room for the night as all of our camping gear was hiding about 100km’s back in a bush in the middle of nowhere. 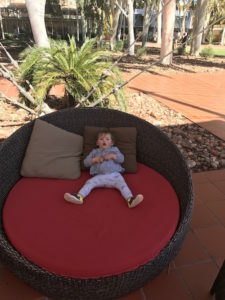 It seemed we hit Yulara at the busy season and everything was booked out, bar one room in the 5 star Sails resort for the night. What a big change of pace but we will take it! We were starving, so we stepped into the restaurant to order some dinner. At this time it was way past Morgan’s bedtime but she was handling it like a champ, and we sat down to order a meal. How amazing that your food just comes to you. 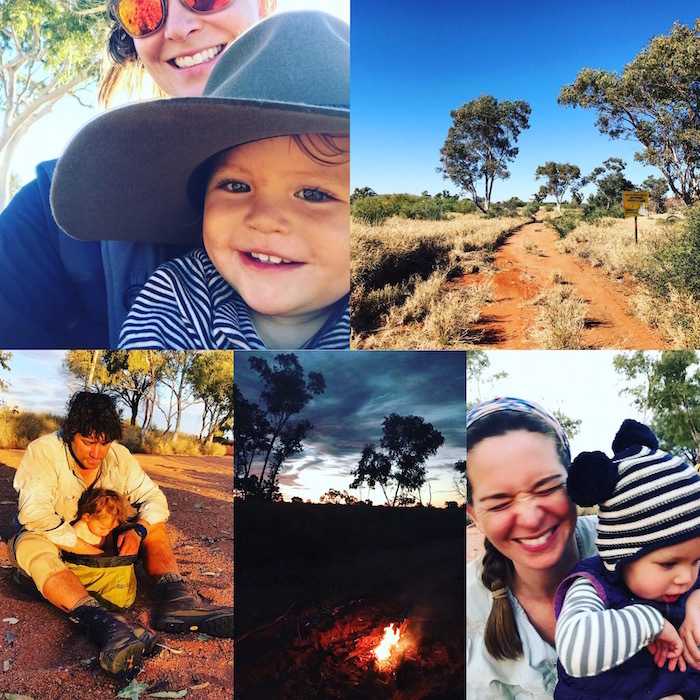 Even after only a week out bush the fact that we didn’t have to hunt for firewood, unpack the cart, hydrate the veggies, wash up with very minimal water and sand – it felt so novel. Oh and wine, a sweet sweet glass of wine. The realization soon hit us that we were dirty. Really dirty. 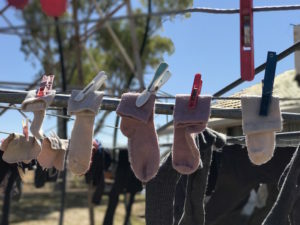 Like noticeably dirty and probably smelly in contrast to the other hotel patrons with their clean walking boots and their just out of the box Akubra hats perched on their heads. 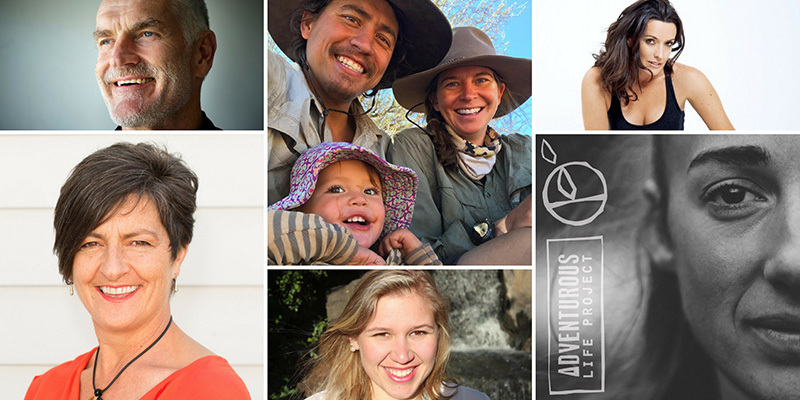 Although everyone looked like they were ready for a hike in the Outback, no one looked like they had even taken a step outside. And oddly I couldn’t stop looking at all the ladies clean, shinny, washed and brushed hair. It almost glistened like straw in the sun in contrast to mine that hadn’t seen a shower in a week and a half and I could hardly get a brush through. Justin and I hatched a plan. Our car and trailer was back in Alice Springs a couple hundred km’s away. Justin would have to get back there in the morning, get the car and we would then be able to go pick up our cart and our gear out of the bush and get the axle fixed. We would have to send a few spare axles up from Sydney as the small mechanic in Yulara couldn’t custom build them for us and the one we had was toast. 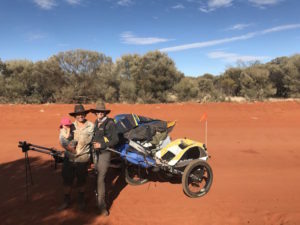 In retrospect, Justin thinks the axle was compromised on our way out to our start point on the boarder of WA and NT just outside of Docker River. The road corrugations were brutal and the cart had been bumping up and down on the roof of our car for hours taking strain on its axels at each dip in the road. Lesson learned. We will not transport the cart like that in the future and will take the wheels off for sure. What a start to the trip. Morgan and I spent the day doing some much needed laundry and wandering on the grass at the hotel, which was a nice change from red dirt and spikey thorny bushes. It was heavenly but the challenge this week was not a physical one like we had originally planned but a mental one. 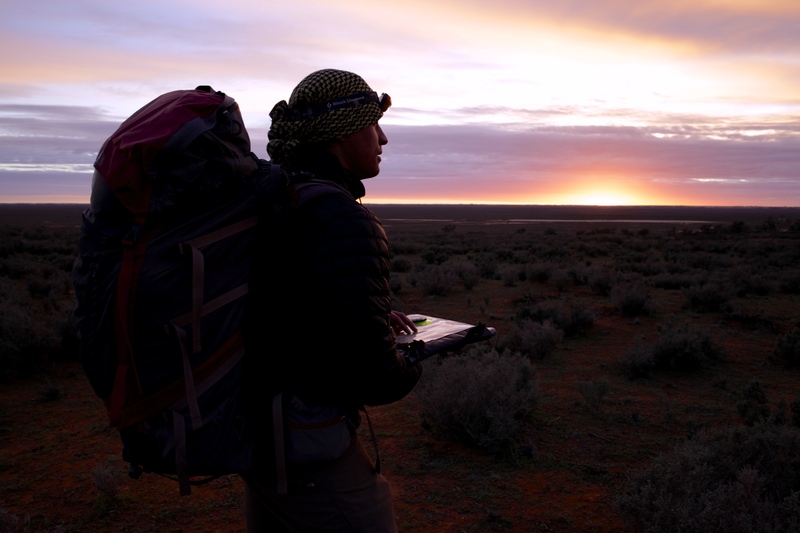 With all the extra time to think and a backward slide on our expedition already just on week two, I realized the challenge this week would be that of the emotional kind. Before we left Sydney, I was suffering from some pretty heavy anxiety. 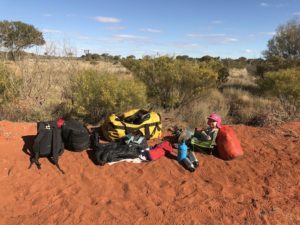 The hardest part of this expedition so for for me has been in the planning, all the packing and sorting and the transition of waiting to go. The idea of this trip came about in serendipitous timing. Motherhood felt like a significant new chapter in my life. A few doors closed because of it and instead of hitting my head against the wall or re reading a chapter I felt like I had already read, I decided to look at it as a time for a major life shift. 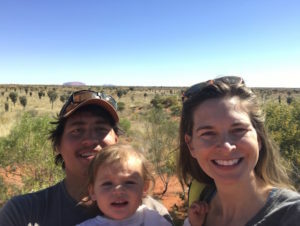 So what better way to start that new chapter than a long walk in the Australian Outback with my family to figure what that new chapter would look like! But that unknown also came with some anxiety. For the first time in a long time I was jumping way outside the conventional box, with an unknown outcome and it felt scary. 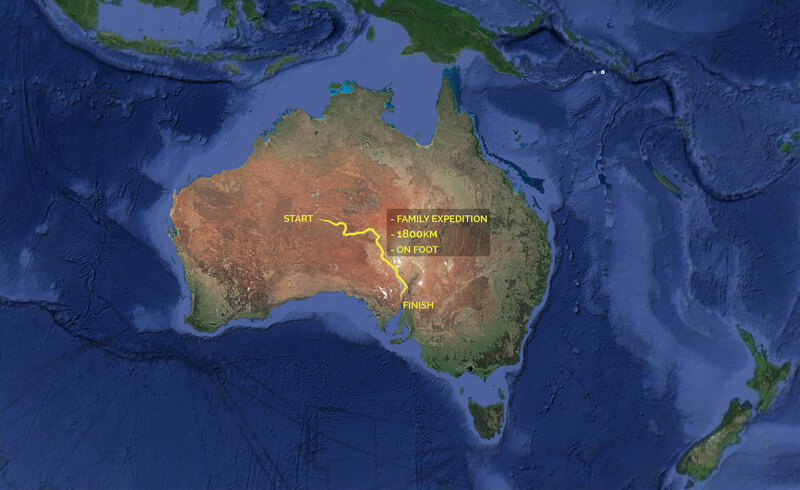 For months we had been planning and preparing for this expedition but to set a goal and aim to do something so big, like walk half the length of Australia, through the Outback (an area that many won’t even drive for fear of being stranded and dying) with a one year old left many unknowns as well. At some point with big things in life, you just have to jump in and trust. Trust in yourself and those around you and dive into the unknown. And although scary, if I am honest, that is also exactly what called me to this adventure and I was so ready to jump in and get going. I was drawn to something that would test me beyond what I currently thought I was capable of. I was dawn to the challenge and the unknown outcome. I was drawn to the curiosity of how it would shape us and if we could even achieve something so inconceivable and crazy that I couldn’t even picture what it would look like or feel like beyond a certain point. And now, finally after months of hard work, planning, packing and waiting for the ‘start’ to arrive, after just one week out on the road, we find ourselves waiting again and the emotional weight of that felt heavy. Stepping outside of the box takes courage and for me, now sitting here on week two just WAITING again and even going backwards, it also brought up a lot of doubts. Personal doubts – could I do this? I haven’t even camped more than a few days straight, how was I going to do for three months? I had never run more than 12km straight, could my body really walk 1,800 kilometers? Could Morgan do it? She literally just started walking and now we are putting her out in one of the harshest environments in the world. Did that make us bad parents? Our axle broke on week one which was totally unexpected, what more could happen that we hadn’t’ planned on? So the challenge this week is to try and quiet my mind and let go of all the ‘what if’s’. I decided to only worry about the things I could control and the only thing that mattered was the present. 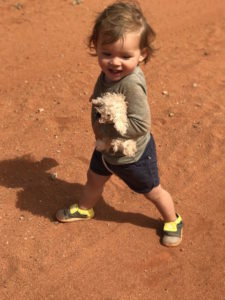 We had already walked over 100kms in a week, with a one year old. That in itself is a big achievement. I am proud of us how we got ourselves out of a tricky situation, learned from it, adjusted our compass, made a plan and were in the process of fixing it and moving forward. 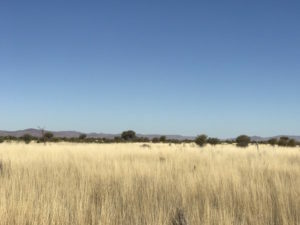 The axels were due to arrive from Sydney in five days and then we could get back out in the bush and back on the red dirt road….just five more days to wait. This trip wasn’t ever going to be perfect and that’s OK. I think its time I try and loose the burden of perfection. Having the perfect job. Being the perfect partner. Being the perfect mother. Being perfect isn’t what matters. I think its actually about having the courage to live life in the spaces of not knowing, be open to experiences as they come along, trust and being authentically you. And that is what I believe we are doing on this family expedition, even if for the next few days that is from a hotel room and not from our tent. In the meantime, this week, I am trying to embrace the fact that life’s map will often take you in different directions than the ones you had planned. And that in itself is all apart of the adventure.